The main wine regions in the Province of Siena—Chianti, Montepulciano, and Montalcino—have strong traditions that exercise a gravitational pull on their wine styles. The commitment to earthy Sangiovese, the delicate style of aged Brunello, the rustic Nobile di Montepulciano, the use of large ageing vessels of ancient lineage, 900 liter tonneau and the larger botti, all harken back to an old world style of winemaking that survives despite modern technology and viticulture. As we head west toward the Tyrrhenian Sea we leave behind those centuries of tradition for the regions of Italy that fomented the Italian wine revolution in the 1970’s—Maremma and Bolgheri—where innovation matters more than tradition. Here Cabernet Sauvignon and Merlot receive equal billing with Sangiovese, Syrah edges toward wide acceptance, and the use of French oak barrique to age the wine aims at a more flamboyant “international style” of winemaking. Does the world need more Cabernet Sauvignon you might ask? The answer appears to be “yes” given recent sales figures that show continued dominance of Cabernet Sauvignon in the fine wine category. Does the world need more oak induced chocolate, coffee and vanilla flavors? Well, again, follow the money. Speaking of money if you find these wines a bit too expensive get used to it. Especially in Bolgheri when I asked at Michele Satta if they planned to expand production our guide sadly shook his head and said there is no more good vineyard land available at any price. As demand for these wines continues to grow higher prices will inevitably follow. The oft-told Super Tuscan story is fascinating. Highly successful winemakers in the 1960’s and 1970’s grew tired of the restrictions made necessary if you wanted to call your wine Chianti or Nobile di Montepulciano. An ocean of inferior wine was made under these labels in part because the rules allowed only approved grapes that were over cropped to meet increasing demand. Traditional winemaking techniques and aging regimes were mandated by law so there was little room for innovation. Wine producers concerned with quality–Mario Incisa della Rocchetta who made the famed Sassicaia and the Antinori family were the pioneers– tossed caution to the winds using international grape varieties and whatever winemaking techniques they thought would improve quality. It was a hard sell at first because they had to label their wines as generic table wines since they violated regulatory rules. But the quality of the wines and reputations of the producers prevailed, and today these are among the most admired wines in Italy having acquired the unofficial name “super Tuscans”. DOC rules have since been amended to allow regional designations of these wines. This willingness to innovate and defy tradition continues in these regions. We visited two wineries on the cutting of edge of even more progressive winemaking. 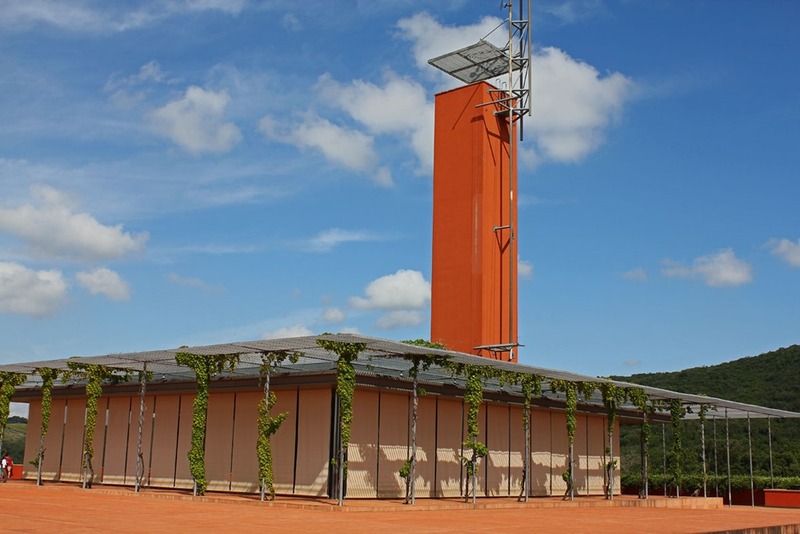 The first stop was Rocca di Frassinello winery in the region of Maremma, owned by a consortium that includes the owners of Bordeaux premier crus Lafite Rothschild. 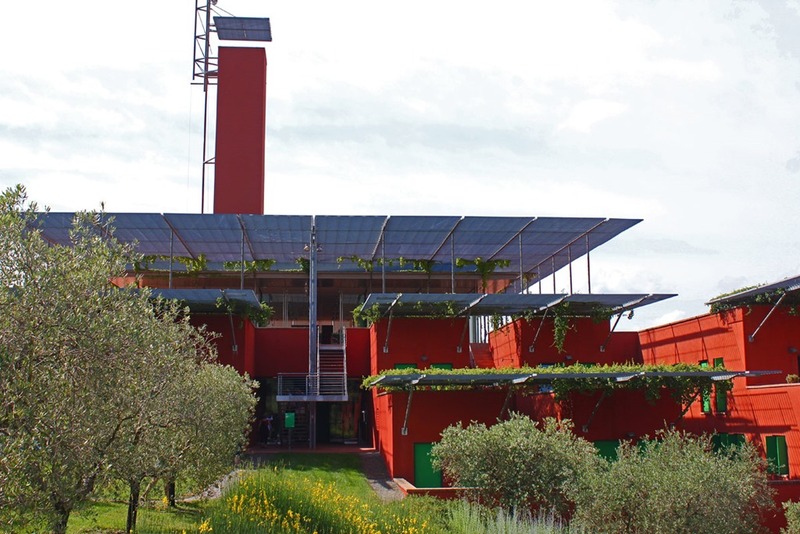 Located in the middle of 3,000-year-old Etruscan ruins, and designed by famed architect Renzo Piano, this is a a spectacular gravity flow winery with a mobile crush pad on the roof deck that drops the sorted grapes though chutes to the next level below for fermentation, and then though a series of tubes to the level below that to their unique concrete barrel room in the shape of an amphitheater. The concrete maintains temperature and humidity and the architecture creates an awe-inspiring cathedral-like atmosphere. 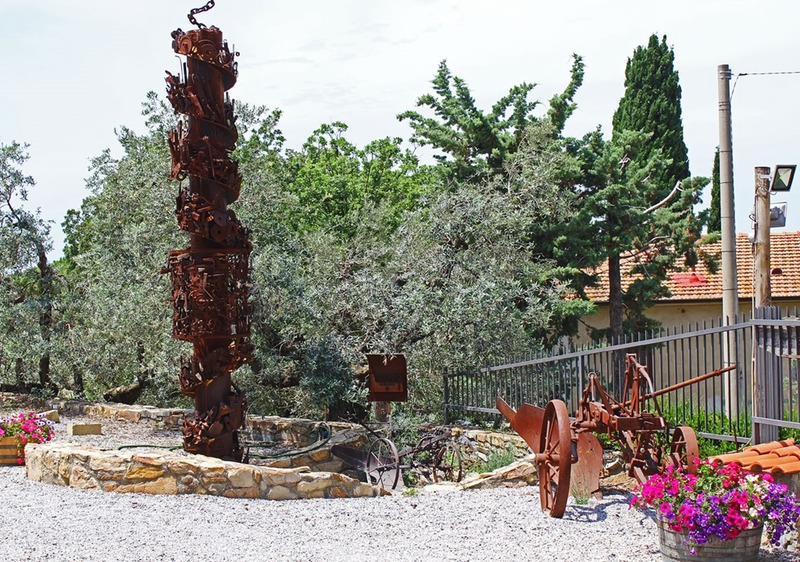 Their visitor center includes exhibits of Etruscan artifacts found when excavating for the building and features a tasting of what Etruscan wine might have been like. The Ancient Etruscans doctored their wine with flowers, pepper, cheese, or water. Thus the winery serves samples of their wine gently steeped in these ingredients. I suppose this was interesting although the base wine was not in need of such enhancements and likely bore little resemblance to the wines made 3000 years ago. Their wines were impressive especially as value wines. A minerally Vermentino and tasty Rosato were mere prelude to the two reds which were the stars of the show. The Poggio alla Guardia Vigne Alte, a blend of 62% Sangiovese with the balance of Cab, Merlot and Syrah was earthy but fresh, with a fruity midpalate, wonderful acidity and a very interesting active finish. It was aged for 12 months in concrete. The Le Sughere di Frassinello has appeared in the Wine Spectator’s Top 100. 50% Sangiovese, and equal portions of Cabernet Sauvignon and Merlot, this is a classic Super Tuscan aged for 12 months in 50% new French barrique. Rich with black cherry and coffee and a mineral seam to launch the long finish, this is available in the states for under $20 and is an excellent value. After Rocca di Frassinello we head to the coast to the Bolgheri region. This is where some of the finest triple-digit price tag wines in all of Italy come from and for good reason. The soil mix of limestone, clay, and marl is ideal for wine grapes, as is the warm days to ripen grapes, sea breezes to ventilate vineyards and stave off disease, and cool nights to maintain acidity in the grapes. Our stop is at one of Bolgheri’s wine pioneers, Michele Satta, who was kind enough to drop in and explain the history of the winery and his approach to winemaking. (Michele’s first vintage was 1983; the Bolgheri DOC was established in 1984.) Satta worked for Sassiccaia before deciding to plant his own vineyard, one of the first vineyards in Bolgheri. Today the vines are farmed bio-dynamically and produce about 13000 cases per year. Biodynamic farming is a type of farming developed in the early 20th Century and is increasingly popular among viticulturists because it focuses on maintaining a natural equilibrium in the vineyard without the use of chemical sprays and pesticides. Beans and mustard are planted in the vineyard rows to introduce nitrogen into the soil. Special compost preparations condition the soils and various herbal teas are used to control pests. More controversially, activities in the vineyard are regulated by a calendar that specifies when pruning, harvesting and watering should take place. Does biodyanamics shape the taste of the wine? That is a subject of great debate I won’t try to adjudicate here. But these wines were impressive. The Costa di Giulia Vermentino/Sauvignon Blanc blend was the best white wine we’ve had on the tour with great intensity and a textured mouth feel. The Bolgheri Rosso, a kitchen sink blend of several grapes, had a beautiful nose of intense plum, mocha and coffee with a soft midpalate and firm tannins—at $17 dollars an outstanding value. 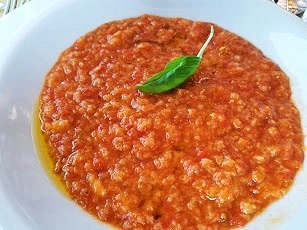 The Piastraia Superiore, a Cabernet, Merlot, Syrah, Sangiovese blend, was rich and smooth, very elegant—a perfect match with the pappa al pomodoro. And finally, the dessert wine, Govin Re, a Viognier late harvest of very focused peach and refreshing acidity, brought the tasting to a close. The Cabernet and Merlot were aged in new French oak, the Sangiovese and Syrah in mostly used oak. This late afternoon lunch and tasting was the end of the winery visits; we finish the tour with a day of seafood and scenery in the Cinque Terre. We settled in for a two hour drive up the coast passing by Pisa where we caught a glimpse of the leaning tower from the freeway and the famous Cararra marble quarries which looked like early June snow in the mountains. 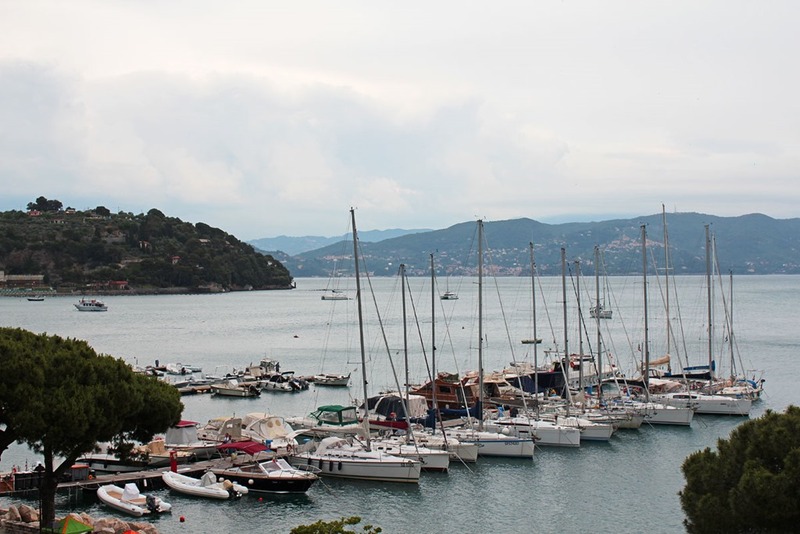 From La Spezia, the beginning of the Italian Riviera, it was 30 minutes of spectacular vistas overlooking cliffs to the ocean below before arriving in the village of Porto Venere, the first of the Cinque Terre villages. This view from our hotel room was charming. 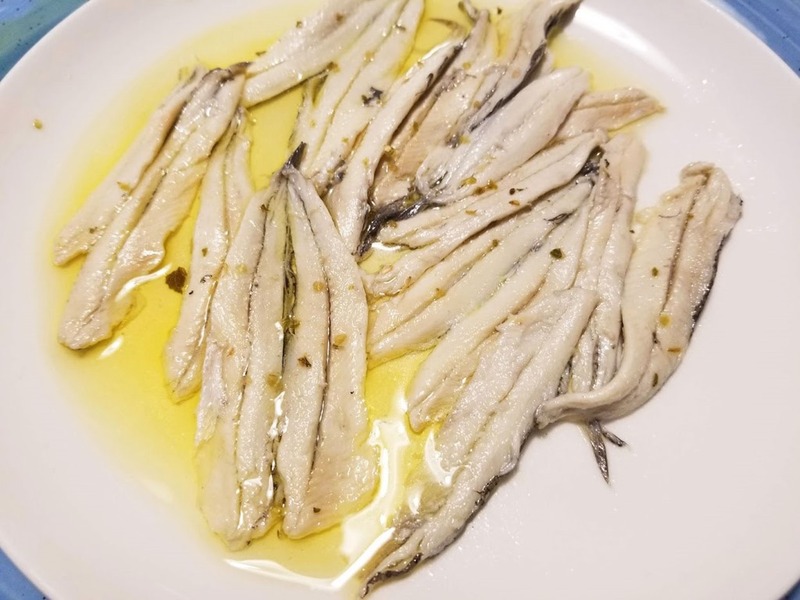 But these anchovies are by themselves worth a trip to Italy. Lugana DOC is a white wine appellation, the main grape being Turbiana, which is apparently genetically identical to Verdicchio, although there is controversy about this. I usually do not get too excited by dry Italian white wines, but these wines were extraordinary. They were noteworthy in part because of the saline minerality on the nose and palate—they smelled and tasted like the sea which nicely complemented the citrus notes. But more important was the textural depth created by usually high levels of dry extract. 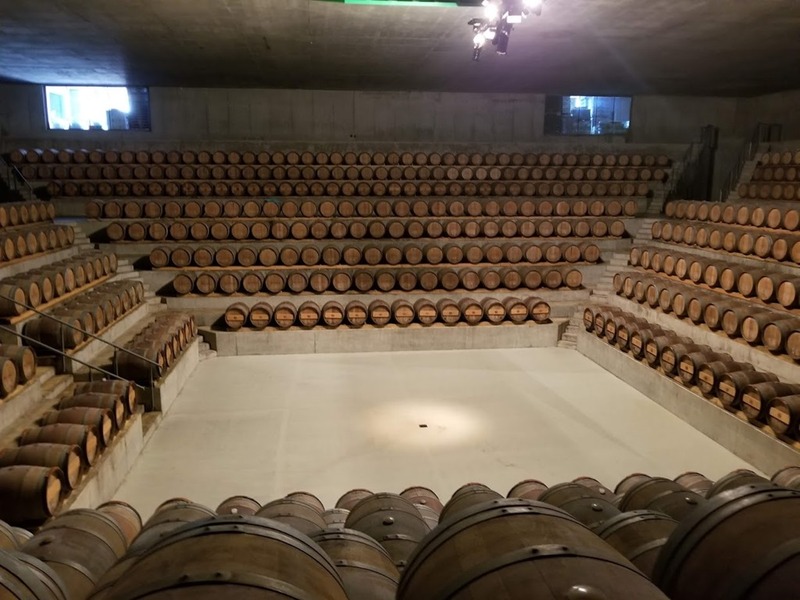 In fact all of the technical sheets supplied by the Consorzio representing Lugana wineries listed the amount of dry extract along with acidity, residual sugar, alcohol, etc. 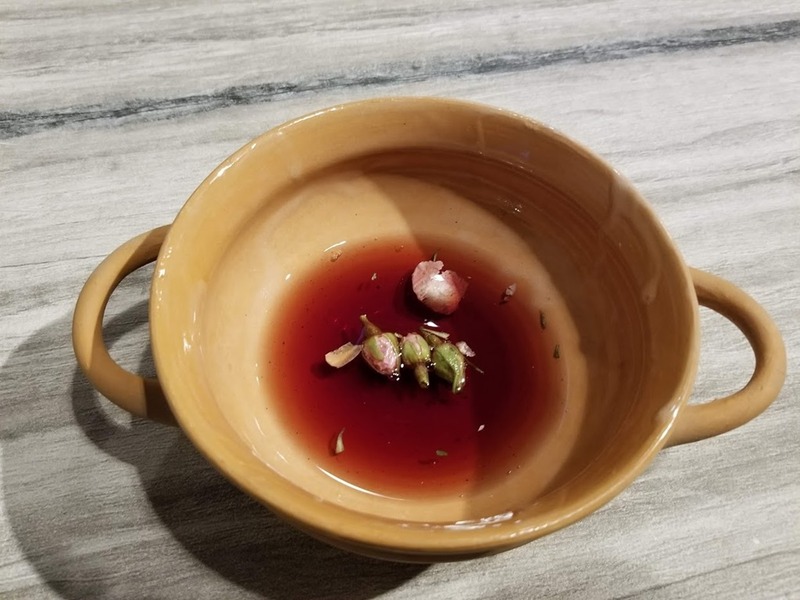 Dry extract refers to the solid particles in the wine small enough to form a powder that would be left over if all the water and alcohol were to evaporate. Dry extract accounts for some of the flavor and texture of a wine. Red wines usually have more of it, 20-30 grams per liter, than white wines which usually have 15-20 grams per liter. This is in part why red wines tend to have more body that white wines. However, the white wines from Lugana were well over 20 grams per liter sometimes approaching 30 g/l. Although crisp and lively with lots of minerality they exhibited layers of texture, ranging from fine talc to a pebbly almost chewy weave, and had a lush mouthfeel when some residual sugar was left in the wine. The wines felt structured without being heavy. They were not big wines, certainly not fat or viscous, so the identification of dry extract with weight or body is not quite accurate especially when combined with high acidity. In Italy, dry extract is often a factor in determining the classification of a wine and its measurement is used to determine if the wine has been diluted with water. But it is not usually included in marketing materials. The Consorzia representing Lugana is actively pushing dry extract as a distinctive feature of their wines as well they should since it sets their wines apart from most of the white wines we commonly drink. Lots of dry extract on the palate, quite textured with stone fruit and floral notes. A lovely late harvest wine but unfortunately not available in the U.S. If you’re searching for interesting white wines, put these on your list. This wine is made with the appassimento method, a specialty of this region of northeast Italy. Grapes are dried for several weeks before pressing thus developing concentrated flavor and giving more dimension to the wine as long as the raisin flavors are not too prominent. This one is quite successful although, with 40% Merlot and 20% Cabernet joining the more traditional Corvina and Croatina grapes, this is breaking all rules–especially the rule that says you can’t get good wine for $7. Bright cherry notes just manage to peak through prominent damp leaves and faint herbal and smoke aromas. Raisin wrapped in coffee emerges on the palate but good acidity and a mineral core give lift to the full bodied, viscous frame, the medium length finish featuring fine grained, gentle but persistent tannins. Good complexity and thoroughly satisfying. It gets its brood on but the acidity and minerality pull it back from the brink so the overall mood is poignant yet consoling. The dank nose with its intimations of decay cries out for some moss-back, swamp blues from Tab Benoit. Italians are famous for liking wines with high acidity. But many Italian wines also have tantalizing bitter flavors that give them dimension and personality. This one gets its distinctive personality from that bitterness highlighted against unusual wood notes. An intriguing nose of black cherry, baked earth with balsamic and rosemary hints, and cedar notes playing in the background. On the palate, ingratiating berry notes provide an entre with good intensity promising hedonic bliss, but the midpalate shifts to a different register swelling with a generous dose of wood and bitter herbs that carry through the finish, giving the wine a rustic edge. The tannins are soft and fine, gently persistent, so the overall vibe is of rough-hewn elegance, down to earth but with lots of flavor. Medium body and medium acidity. An interesting Chianti and a good value. 100% Sangiovese, aged for 12 months in large 55 hectolitre barrels and smaller casks, and for 12 months in the bottle. Among wine experts and connoisseurs, Italian white wines don’t have a great reputation. Their flavors and aromas tend to be muted and the acidity is high, so many dismiss them as thin and tart. This is especially true of the wines made from the Trebbiano grape, a widely planted grape appearing in most regions of Italy and used in Brandy production in France where it goes by the name of Ugni Blanc. But those muted flavors and high acidity have a purpose for the Italians—they go really well with lighter meals that get overwhelmed with fat chardonnays or tannic reds. Italian whites are really about showing off the food. 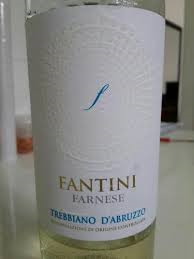 This Trebbiano from D’Abruzzo, a wine region in central Italy on the Adriatic sea, is not only great with food but it has more intensity than your average Italian white wine. It shows white peach, green apple, pretty white flowers, and a little funky earth on the nose, just enough to add interest. In the mouth it is simple, light in weight and unsophisticated but with some punch. It’s bone dry with lemon playing the lead role, very chalky on the midpalate with some tart acidity on the finish. In Italian whites tart is a feature not a bug. Good aromatics, a little tough on the palate but a really versatile food wine. I paired it with a delicate, fresh marinara sauce and it was perfect. When Brunello is good it is very, very good. Made from the “Grosso” clone of the Sangiovese grape, it produces fuller, richer flavor than other variants of the grape. 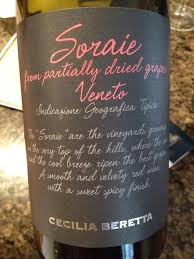 The grapes are sourced from an area near the town of Montalcino in Southern Tuscany where it gets warmer than Chianti to the North producing riper grapes with smooth tannins; and appellation rules require at least 5 years of aging in barrel and bottle before release. Great grapes, warm weather, and aging, along with a commitment to quality, usually mean good wine and high prices. Thus, I never seek out Brunello when looking for inexpensive wine. They are almost always well over $50 and even at that price the quality can be uneven. Vintage variation matters in Italy where regulations prevent manipulation of the wine in bad years. And the aging process is inherently a crap shoot. You never quite know how a wine will develop over time. To make matters even more complicated, some producers are wedded to old-school winemaking in which wines are intended to age for 25 years and may not be ready to drink for 10-12. Thus even $80 bottles can be disappointing. So how good could a $20 bottle be? As luck would have it, quite good. The nose is typical Brunello—dark cherry tinged with dried flowers and prominent herbal notes, on a gentle layer of dusty earth. Subtle vanilla notes indicate this is a “new school” Brunello aged in small oak barrels that soften the wine quickly and make it drinkable in its youth. Bold yet supple and silky on the palate with medium acidity and soft tannins, the finish is a little short but the wine has depth and focus. This doesn’t have the complex, delicate, ethereal aromas of the very best Brunellos and the tannins are softer than most so I wouldn’t put it down for 20 years. 2009 was a scorching hot year in Tuscany and the wines from that year are probably a bit evolved. But at this price it is worth buying a few bottles to lay down for 5-7 years. I couldn’t find out anything about this winery. This wine is available in the U.S only at Trader Joe’s as far as I can tell. This suggests TJ’s buys excess juice from a large, quality producer and puts their label on it. But I’m only speculating. In any case, an absolute steal. Highly recommended. Italian white wines have a mixed reputation. Some people love them; others think they lack aromatic intensity and are innocuous. I’ve had a few that stand out, but too often they lack distinction. I rather liked the Luna Mater when I first tasted it. Crisp and refreshing but not extraordinary. So I decided to give it some age to see if it would really blossom. It is of course a myth that white wines don’t age well. Some don’t but many will, and if you choose the right varietal it is usually worth the wait. I waited six years from the vintage date before opening but I could have waited 2-3 more years. There is still plenty of life in this wine and the characteristics of age are very apparent without being overwhelming. The original pear and apple flavors have receded showing more apricot with lemon hints on the nose and palate, with almond highlights becoming more prominent. A pleasant, light layer of musty earth gives the nose interest, and the acidity has softened giving the wine more apparent viscosity. 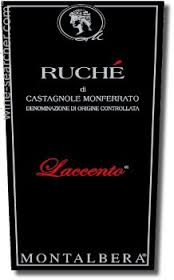 It is now soft and round on the palate and the finish is long and more languorous that you expect from a crisp white though it still features the bitter herb notes characteristic of many Italian wines. A few years of age have made this a much more interesting wine with dimension and depth. This is no longer just a food wine; it can be savored on its own although it surely enhanced the seafood pasta I served. It has become fashionable to advise people to drink their wines young. This is not always good advice. One should be cautious about which wines to age, but this $15 dollar wine improved immensely since I first tasted it. Frascati should be added to the list of age-worthy whites that includes Chardonnay, Riesling, and Chenin Blanc. 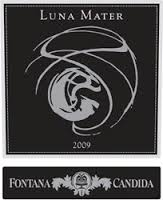 The Luna Maters is a blend of Malvasia Bianca di Candia, Malvasia del Lazio, Bombino, and Greco from hillside vineyards not far from Rome. Some of the lot is fermented in small oak barrels but aged in the bottle. Speaking of aging well—has anyone aged as well as David Bowie, some 45 years after Ziggy? There are thousands of grape varieties from which wine is made. But only a relative handful find their way to the international wine markets. Robert Parker and others have argued that there is a good reason why most varieties are obscure—they don’t make good wine. Cabernet, Chardonnay, Pinot Noir, etc. are popular for a reason. That may be so, but unearthing neglected varieties is a worthwhile task because their may be gems among the discards. And indeed I discovered one this weekend at a meeting of the San Diego Wine Society. The grape is an Italian varietal called Ruché that hails from a small DOCG wine region of about 100 acres near the town of Castognole Monferrato in Piemonte. 10% Barbera or Brachetto is allowed in the blend. Luxuriant, perfumed floral notes leap from the glass but strawberry jam and candied fruit lie in the background and grace the palate, which also displays intriguing orange zest flavors, unusual in red wine. Just short of medium weight and dry, the texture is gentle though it doesn’t quite caress like the best Pinots. But the acidity is bracing and the finish is propelled by surprisingly vibrant tannins that have a sparkling quality, and residual bitter notes that mark it as Italian. There really is not another wine quite like this. This combination of intensity and tenderness is why I drink wine. This with a pork rib roast basted with a light orange rosemary glaze would be a slice of heaven. If you haven’t tried this grape, drop what you’re doing, jump on the Internet, go to Wine Searcher and buy a case. The production is very small and when word gets out I cannot imagine this wine not exploding in popularity. Of course, it will not please everyone, but if you like intensely aromatic wines with soft, textures and strong acidity along the lines of a Pinot Noir you will really enjoy this. The Italian wine critic Luca Maroni gave it 99 points. I’m not prepared to go there. But any wine that puts me in mind of Wordsworth is worth a 93. A Trader Joe’s exclusive, the Salice Salentino is one of my go-to, everyday wines and has been for years. A simple but pleasing nose of ripe cherries encased in subtle loam and a hint of smoke. The medium-bodied, supple palate shows dried cherries and a slight characteristic bitterness on the finish. 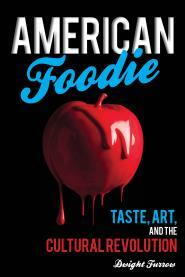 The flavors lack depth but have good intensity and focus. The soft tannins come on early with a bit more grip than most six dollar wines. Salice Salentino is a small commune in Apulia, in southeast Italy. 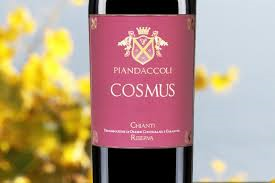 The wine is produced from the Negroamaro grape with a small percentage of Malvasia Nera added to soften the rusticity. Italy is not known for its quality sparkling wines. Prosecco and the sparkling wines of Asti are pleasant enough, but both are produced using the inexpensive Charmat method, in which secondary fermentation takes place in large stainless steel tanks rather than in the bottle. With limited yeast contact, a fruity nose, and loose, plodding bubbles, it does not make great sparkling wine. 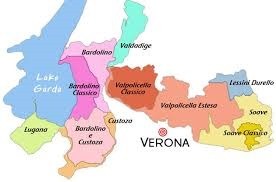 The only region in Italy known for making sparkling wine in the traditional method is Franciacorta in Eastern Lombardy. And this is a relatively recent development—the first sparkling wines were developed there in the 1960’s. Despite being newcomers, they are serious about quality. The appellation regulations are very demanding. Non-vintage (NV) Franciacorta must age at least 25 months after harvest, with at least 18 months in contact with the yeast in the bottle. (Champagne requires only 15 months). The result is a delicious sparkler at 1/2-1/3 the cost of a passable French Champagne and with more interest and finesse than the typical Cava from Spain. Chardonnay is the base of this wine blended with small quantities of Pinot Nero and Pinot Bianco. The mousse is lovely and vibrant. The nose opens with lemon hiding almond notes in the background. The palate is rich, soft, and creamy with a long finish that gave subtle hints of smoke and the characteristic Italian bitterness. Much less austerity, a touch more fruit, less bread, and less minerality than a Champagne. The lovely mouthfeel makes this work. At this price point, it is worth tracking this down.